You are viewing a series of photographs of a Renaissance Conservatories Victorian Conservatory. to perfectly blend with the stately Victorian architecture of their home. flowering bough and songbird motif. photographs taken on the grounds. smaller conservatory to create a cozy breakfast nook dining area. Click through this series of photos to view both conservatories. Click "Next" or "Previous" to continue viewing this series of conservatory photos. 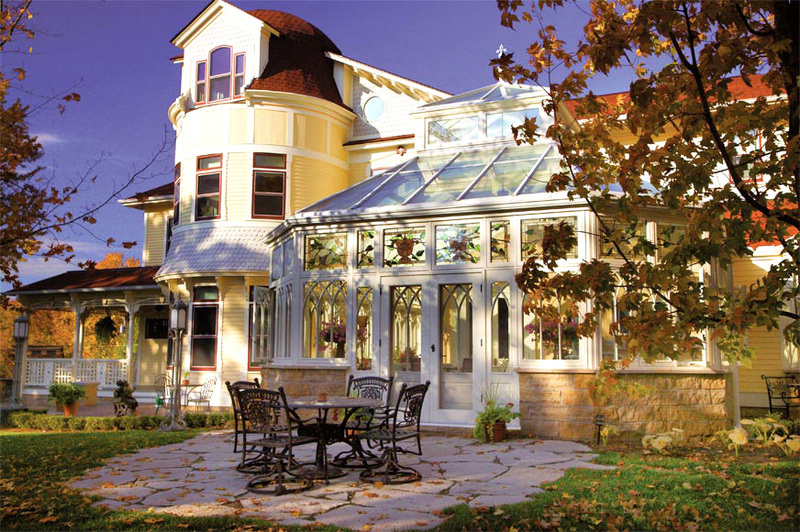 Glass Dormers, Glass Domes, and Wood Framed Garden Windows.